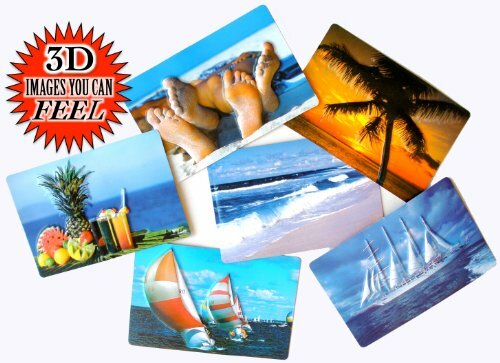 These 3-D picture postcards will excite and delight the receiver, young or old. Each of 6 postcards measures 6" x 4". Images As Pictured. The unique three dimensional postcard has raised areas so you can actually feel the images... for example, feel the toes in the sand on one of these unique postcards or the ocean as it hits the shore! Generic enough so you can use them wherever you go that's warm & sunny or near a beach. Letter rate postage not included.